The 24 is one of the UK’s most exciting and ambitious student vocal ensembles based at the University of York. We are currently conducted by Robert Hollingworth, director of solo vocal ensemble, I Fagiolini, and will tour to China with our director emeritus, Professor William Brooks. In March 2014 we will travel half way across the world for a fantastic 17-day tour of China and Hong Kong under eminent conductor Zhu Bu Xi. We will take part in numerous international collaborations and perform in internationally renowned venues. We need your help to make this trip viable - read on to find out more, and see the rewards available on the right of the page! This project will give us the opportunity to further our singing careers by collaborating with musicians from a different culture and performing on an international stage. We will experience music from Hong Kong, Taiwan and China; sing alongside local choirs and international musicians; and work with young Chinese composers on new works written especially for us. Singing a programme of British music mixed with Chinese folk songs, we will perform throughout Southeast China. On three previous tours to China, singers and audiences alike shared a fantastic experience. The singers were excellent cultural ambassadors and everyone came away with strengthened cultural relationships. This is an outstanding opportunity to nurture a growing dialogue between the British and Chinese musical cultures. It will showcase the talent of York’s young musicians on an international stage and through collaborations with universities strengthen educational relationships. Monday 17th March – Depart UK for Hong Kong. Tuesday 18th March – Thursday 27th March – Tour Southeast China, performing in prestigious venues in major urban centres such as Shezhen, Fuzhou and Guangzhou, to crowds of several thousand. Friday 28th March – Collaboration concert with Tawainese group, O Kai and world premiere of new work by Professor Hing-yan Chan at the University of Hong Kong. Saturday 29th March – Recording of Professor Chan’s new work under his direction. Monday 31st March – Workshops with composers at the Chinese University of Hong Kong working on and recording pieces written specifically for this tour. Tuesday 1st April – Workshops at the Hong Kong Baptist University with Professor John Winzenburg’s chamber choir, Cantoria. 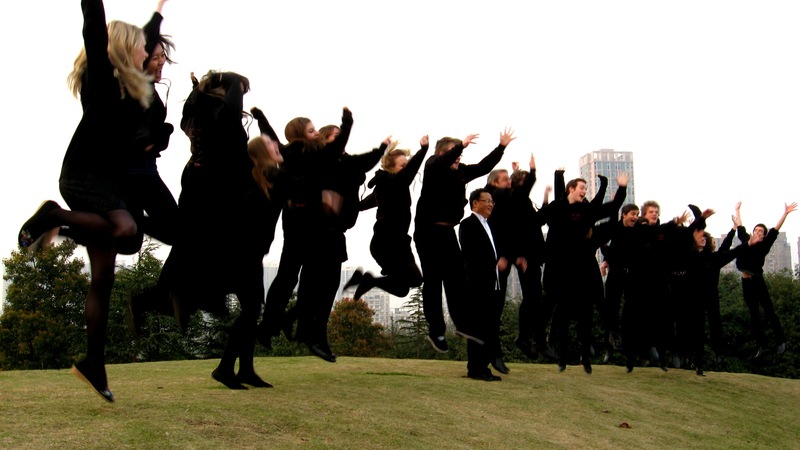 Wednesday 2nd April – Workshops with the Chamber Choir of the Unviersity of Hong Kong. Thursday 3rd April – Return to UK. We are hugely grateful to the tour agency in China, the universities in Hong Kong, and our corporate and private sponsors for their support of this tour. However, even with their incredible generosity, we are still in search of further funding. We would be more than grateful for any support you feel you are able to give for this tour. All donations received will help to cover the costs of our flights and our food and accommodation in Hong Kong. With your help this project will not only give everyone involved a fantastic and unforgettable experience, but will also allow both the choir, the University of York and York itself to further and develop both professional and personal friendships. If you don't feel you can support us financially, please do share this page with all your friends!! Thank you so much for all your help - we couldn't do it without you! You'll be listed as a supporter on our website, and you'll receive a thank you email with a photo from the tour. You'll receive all of the above, plus a printed, signed copy of a photo from the tour. You'll receive all of the above plus two tickets to The 24's concerts. You'll receive all of the above plus four tickets (instead of two) to The 24's concerts and some authentic Chinese tea all the way from China! a VIP invitation to the UK performance of the tour repertoire.